A worker checks bottles of beer at the Multi Bintang brewery in Tangerang, Banten province, Indonesia , Friday, April 17, 2015. In a move to protect young people from consuming alcohol, the Indonesia government has introduced a new regulation banning the sale of alcohol in small shops in the predominantly Muslim nation. 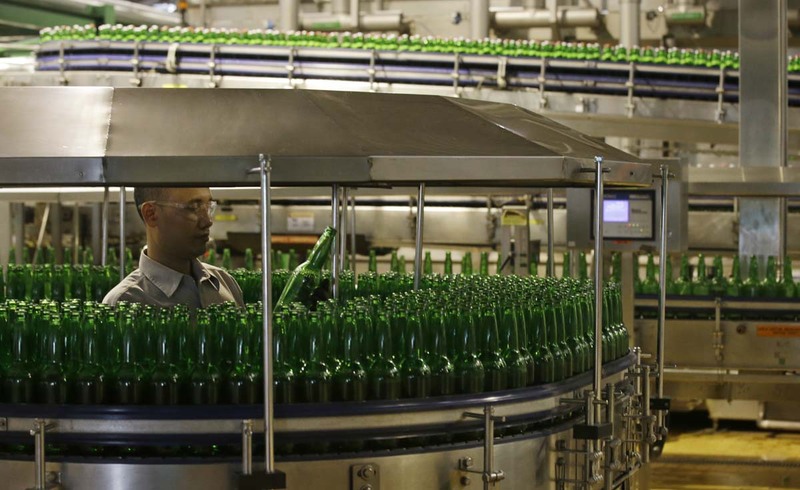 The alcohol which is prohibited under Islamic law, can still be found in supermarkets and hotels. 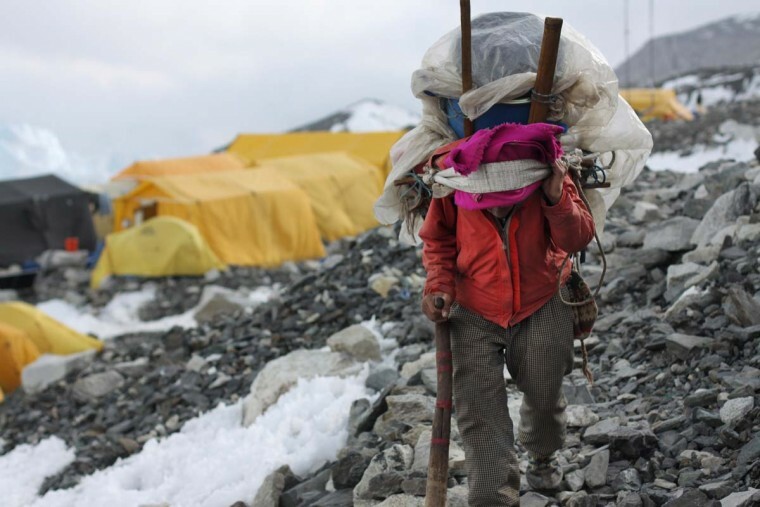 In this Saturday, April 11, 2015 photo, porter walks with supplies at Everest Base Camp in Nepal. Saturday, April 18 marks the first-year anniversary of an ice avalanche that killed 16 guides in the mountain’s deadliest disaster. 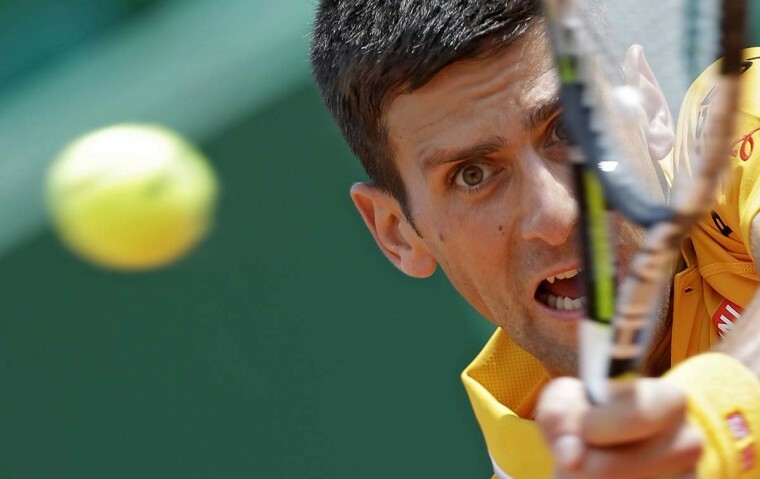 Novak Djokovic of Serbia plays a return to Marin Cilic of Croatia during their quarterfinal match of the Monte Carlo Tennis Masters tournament in Monaco, Friday, April 17 2015. 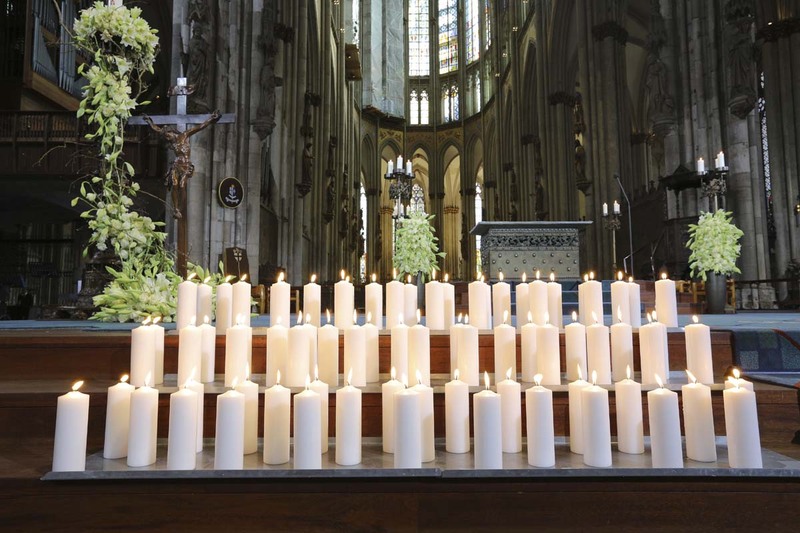 Candles are placed in the Cologne Cathedral in Cologne, western Germany, Friday, April 17, 2015. A mourning ceremony is held in the Cathedral in memory of the 150 victims of the Germanwings plane crash last month in the French Alps. 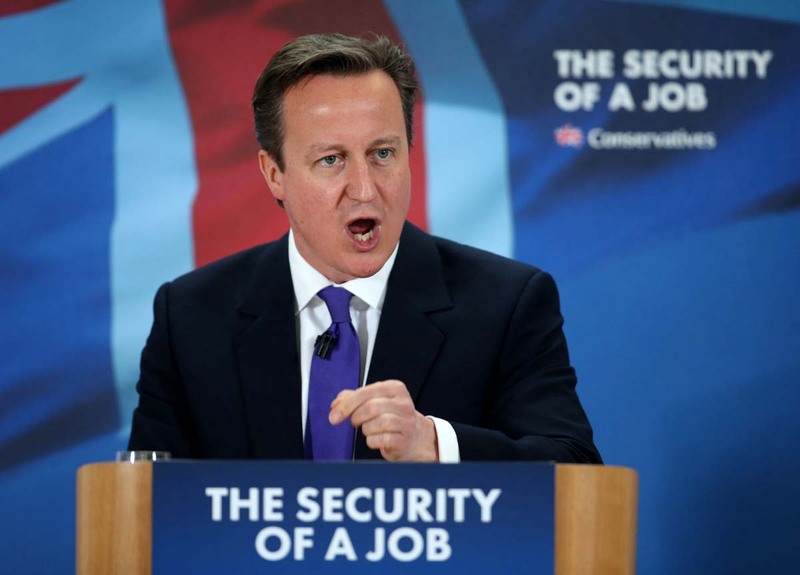 Britain’s Prime Minister David Cameron addresses Fujitsu employees in Birmingham, England, Friday April 17, 2015. Britain goes to the polls for a general election on May 7. 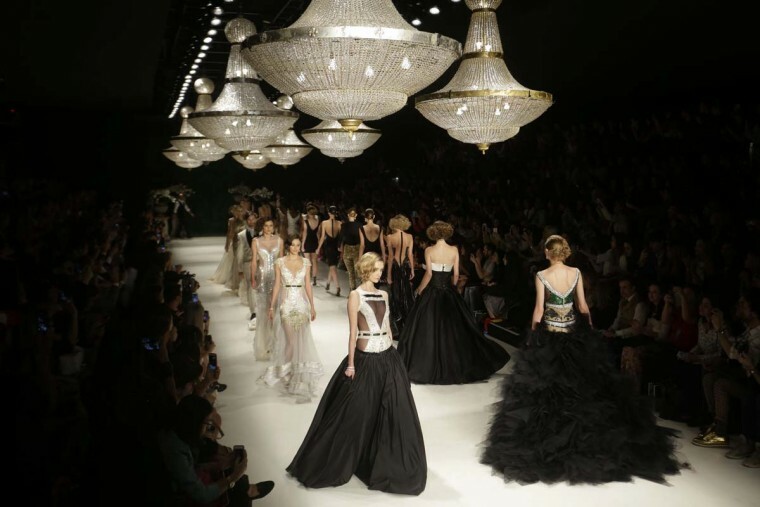 Models wear creations from the Samuel Cirnansck Summer collection during the Sao Paulo Fashion Week in Sao Paulo, Brazil, Thursday, April 16, 2015. 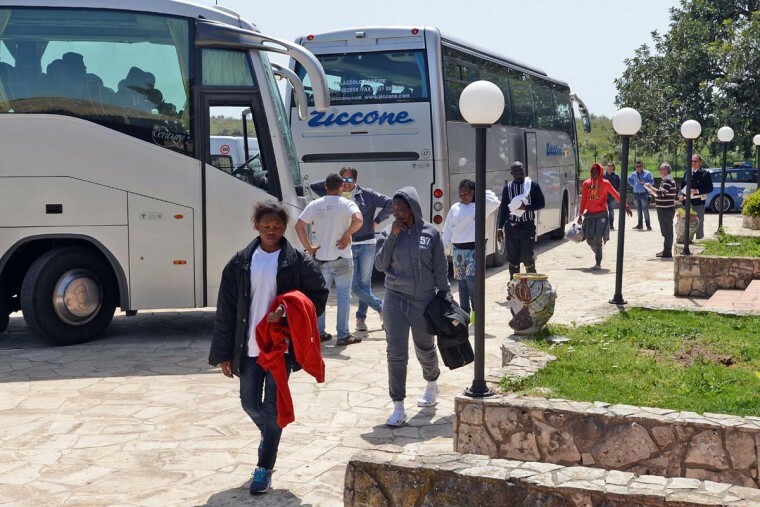 Migrants arrive at the Palazzolo Acreide immigration center on April 17, 2015. The U.N. refugee agency said over 35,000 refugees and migrants have crossed the Mediterranean Sea (including 23,500 who landed in Italy and over 12,000 in Greece) in 2015. At the same time, some 950 people have been reported dead or missing at sea. Last year some 219,000 refugees and migrants crossed the Mediterranean (Italy alone received over 170,000). 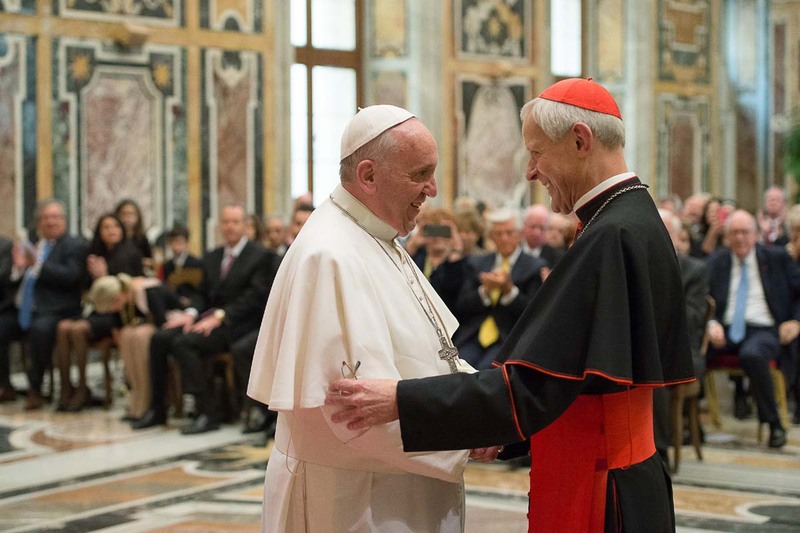 Most of them were rescued by the Italian Navy, the Coast Guard or merchant vessels. 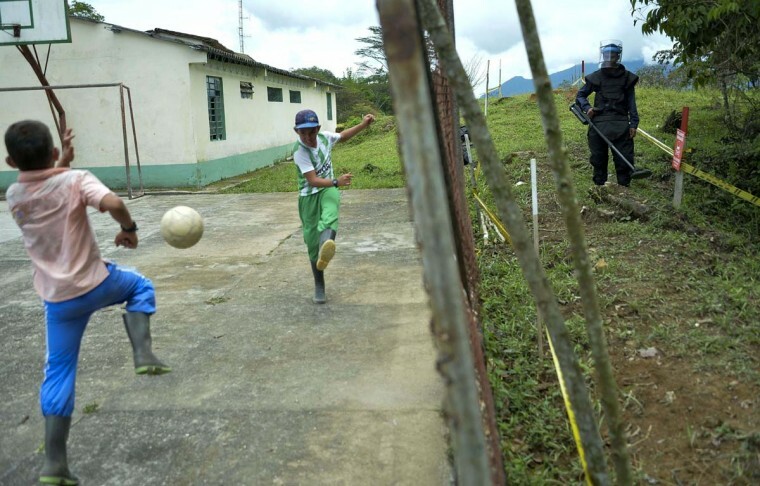 It is estimated that some 3,500 people lost their lives at sea last year. 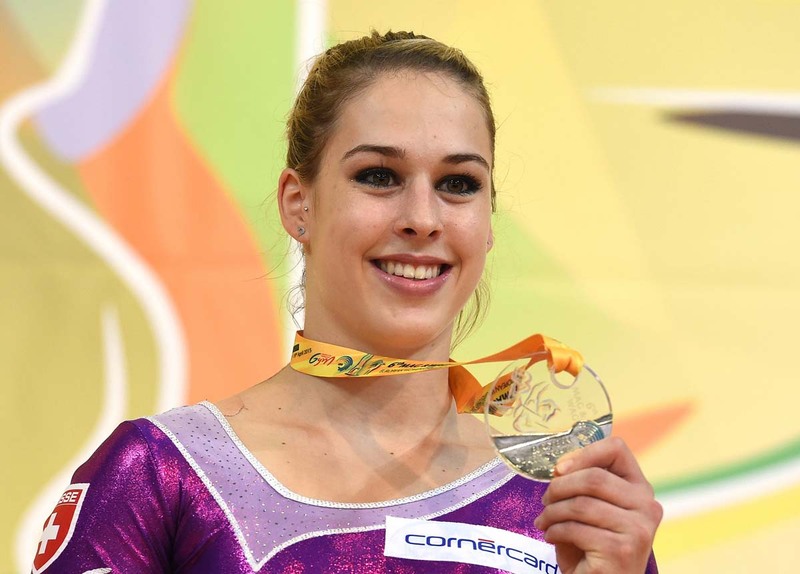 Gold medallist Swiss gymnast Giulia Steingruber poses with her medal on the podium of the Artistic Gymnastics European Championships in Montpellier, southern France, on April 17, 2015. 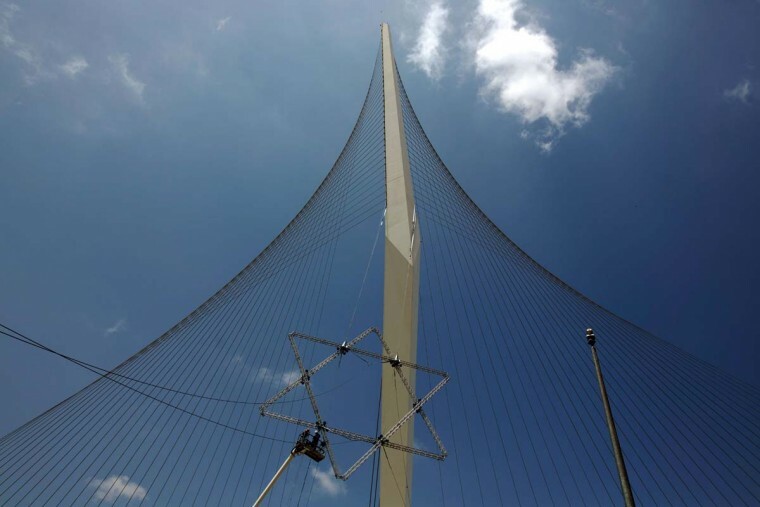 Workers hang a giant Star of David on the strings of the Chords Bridge at the entrance of Jerusalem on April 17, 2015, as a part of preparations for the upcoming Israeli Independence Day. 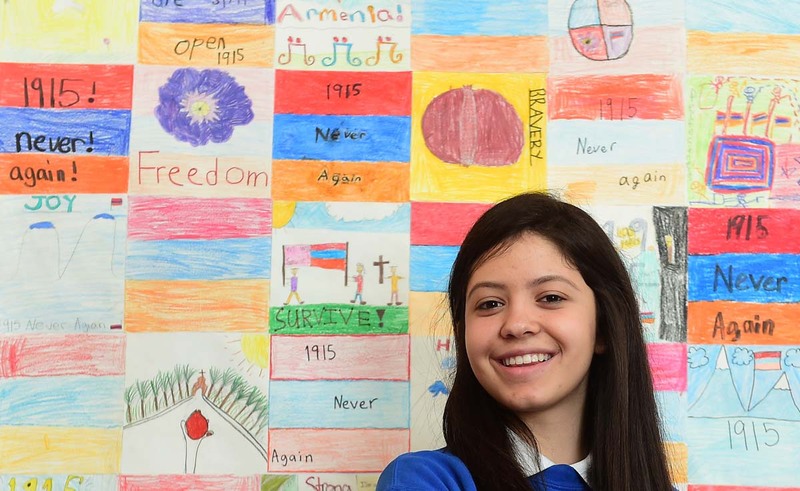 Nancy Bosnoian, a student at the Rose & Alex Pilibos Armenian School in the Little Armenia neighborhood of Los Angeles, California, poses in front of artwork from 3rd grade students commemorating the 100th anniversary of the Armenian Genocide in the school’s library on April 13, 2015. Los Angeles is home to one of the largest populations of Armenians in the world outside of Armenia and tens of thousands of people are expected to take to the streets of Los Angeles again on April 24th for the annual march from Little Armenia to the Turkish Consulate. 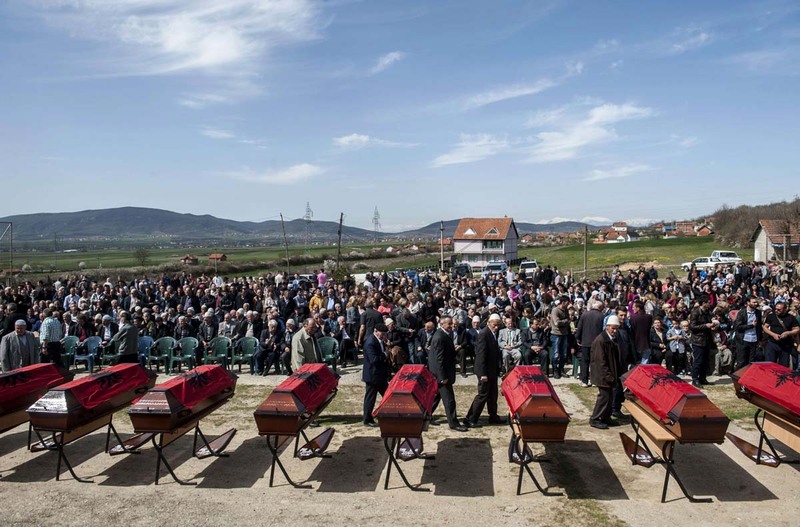 Kosovo Albanians pay their respect near coffins draped with the Albanian flag, which contain the remains of 21 Kosovo Albanians allegedly killed by Serbian security forces during the 1998-1999 Kosovo war, during a funeral ceremony in the village of Qikatove on April 17, 2015. The 21 Kosovo Albanians were identified after being exhumed from a mass grave in Serbia. 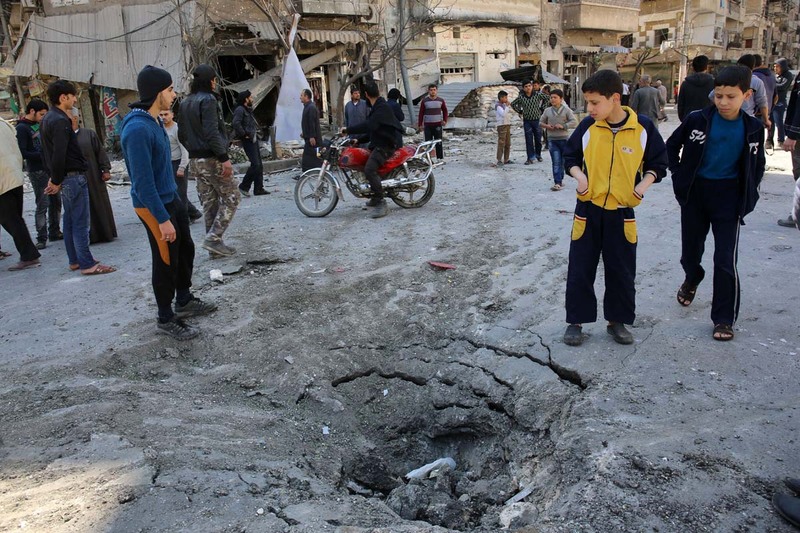 People look at a crater on the ground following reported air strikes by government forces on a rebel held area in the northern Syrian city of Aleppo on April 17, 2015. The conflict in Syria has left more than 220,000 dead since it began four years ago with an uprising against President Bashar al-Assad, a key monitoring group said on April 16, 2015. 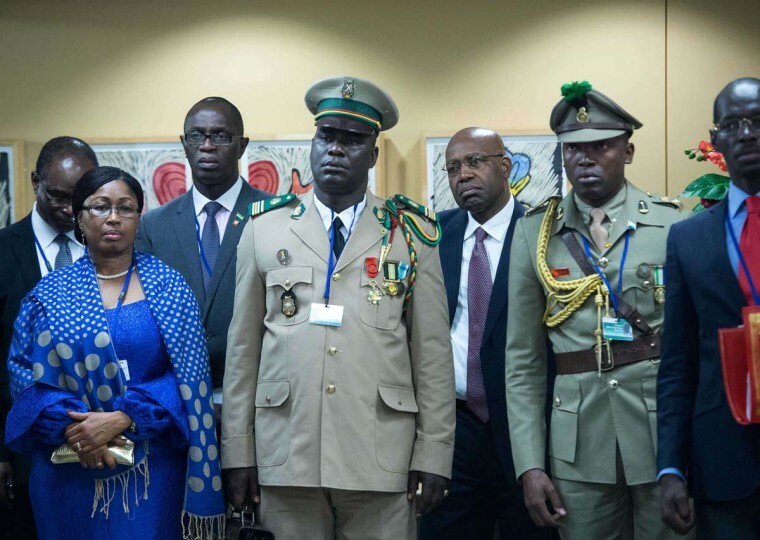 Delegation members listen to Sierra Leone President Ernest Bai Koroma speak to the press following a meeting on the response to the Ebola crisis at the IMF/WB Spring Meetings in Washington, DC, on April 17, 2015. 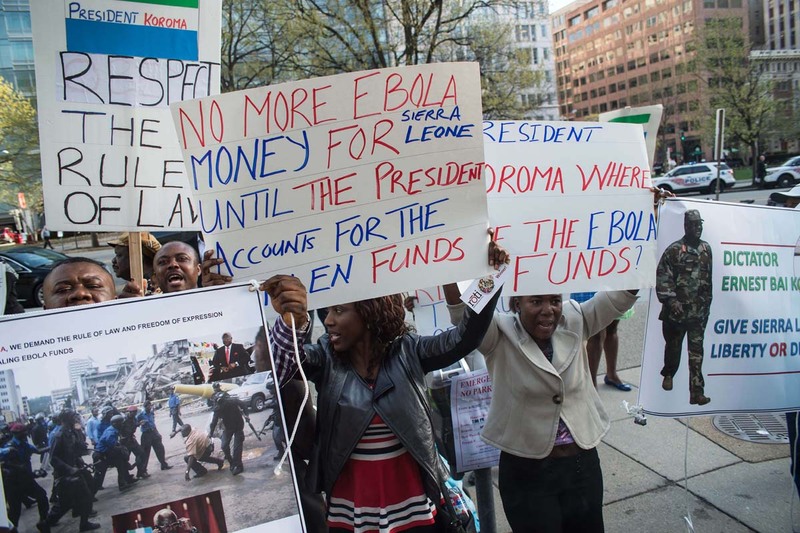 Opponents of Sierra Leone President Ernest Bai Koroma demonstrate outside World Bank headquarters following a meeting on the response to the Ebola crisis at the IMF/WB Spring Meetings in Washington, DC, on April 17, 2015. 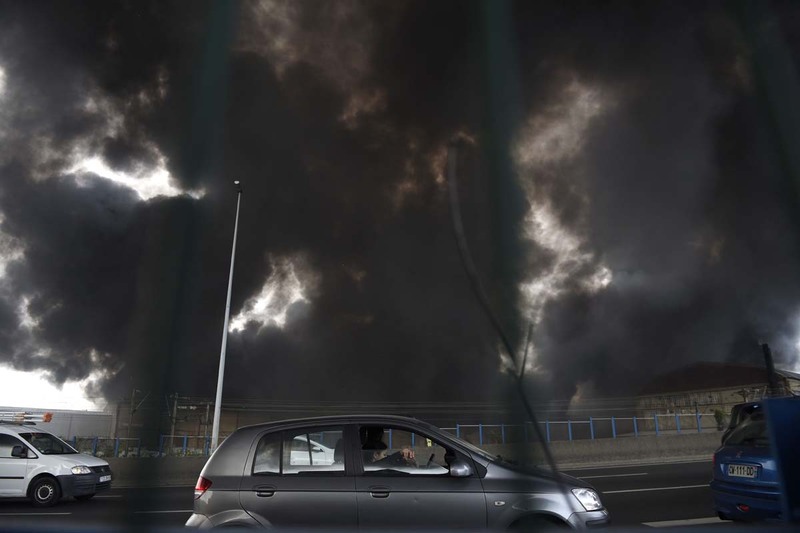 Black smoke from a warehouse blaze rises over the A86 highway in La Courneuve, north of Paris, on April 17, 2015. A spectacular fire broke out in a 10,000 m2 textile warehouse located in a commercial area in La Courneuve, as Police said they were no casualties. 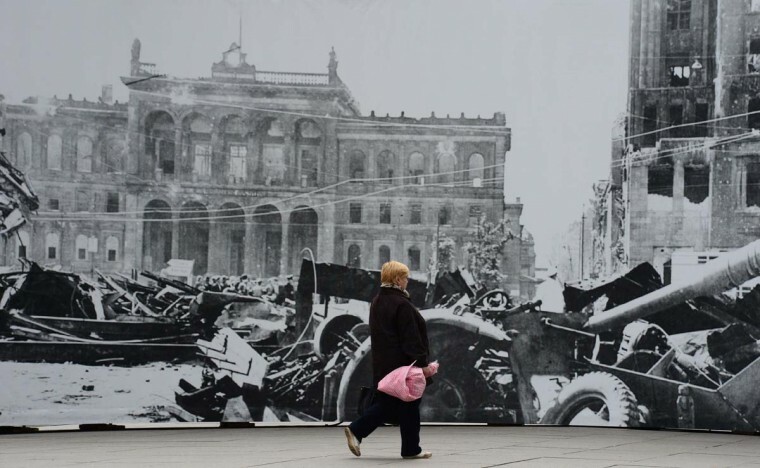 A woman walks past a giant billboard featuring a view of the war-ravaged Potsdamer Platz taken in June 1945, at the end of the Second World war, at the Potsdamer Platz in Berlin April 17, 2015. The billboard is part of an open-air exhibition centered around various landmarks in the capital called: “Everyday Life between War and Peace”. Cambodian Buddhist monks line up to receive donation at Choeung Ek killing fields memorial in Phnom Penh on April 17, 2015. 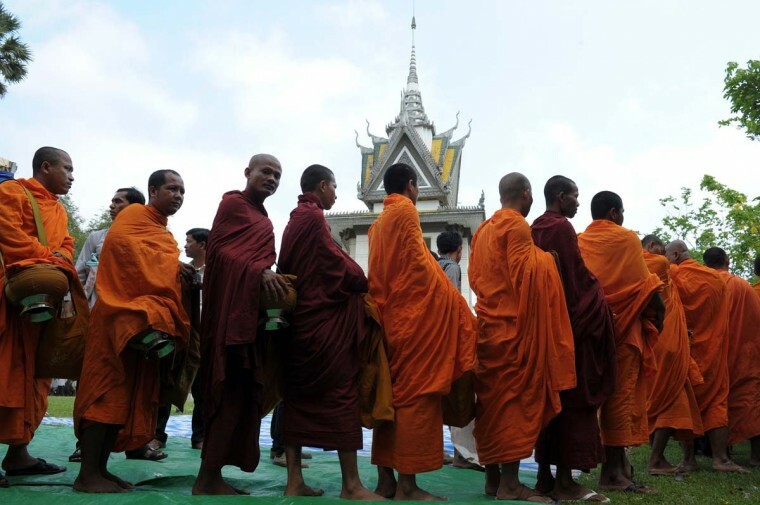 Tearful survivors on April 17, 2015 marked 40 years to the day since the black-clad Khmer Rouge marched into Phnom Penh, ending a civil war but heralding a terror that killed a quarter of Cambodians and turned the capital into a ghost town. A Colombian soldier is seen next to a school during a demining training in Campo Alegre, Cocorna municipality, East of Antioquia department, Colombia on April 16, 2015. Young ballet dancers Eliana Hinds-Fernandez, Amalia Locker-Olesker, Natalie Ng and Renee Ng prepare for auditioning as boys and girls ages 6 to 7 try out for The School of American Ballet Winter Term at the P.S. 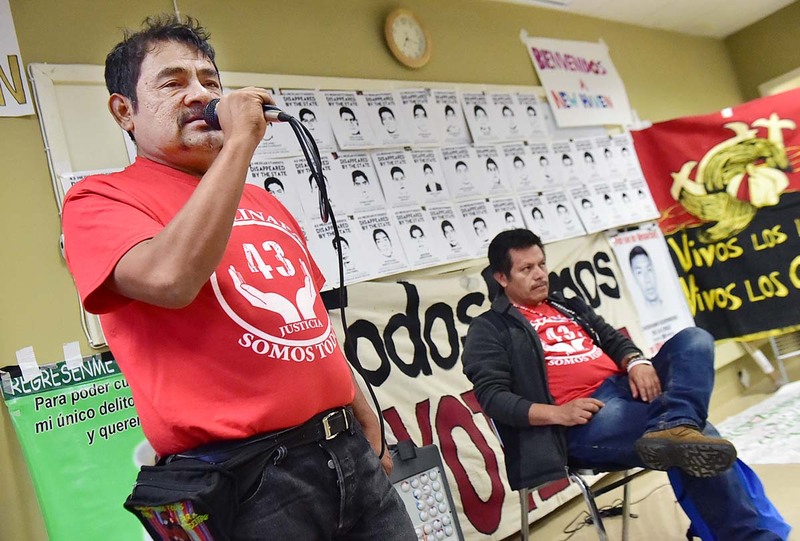 124 Yung Wing school in New York’s Chinatown on April 16, 2015. The School of American Ballet was established in 1934 and is one of the premier ballet academies in the United States. Iraqi pro-government forces, including the Shiite Muslim Al-Abbas popular mobilisation unit, fire a rocket as a part of an operation to retake the Baiji oil refinery from Islamic State (IS) group jihadists, on April 16, 2015. 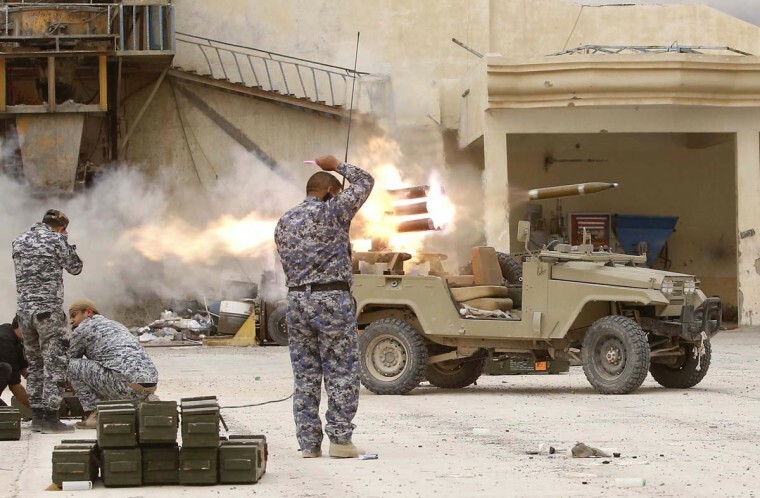 The refinery — some 200 kilometres (120 miles) north of Baghdad — once produced some 300,000 barrels of refined products per day, meeting half the country’s needs. 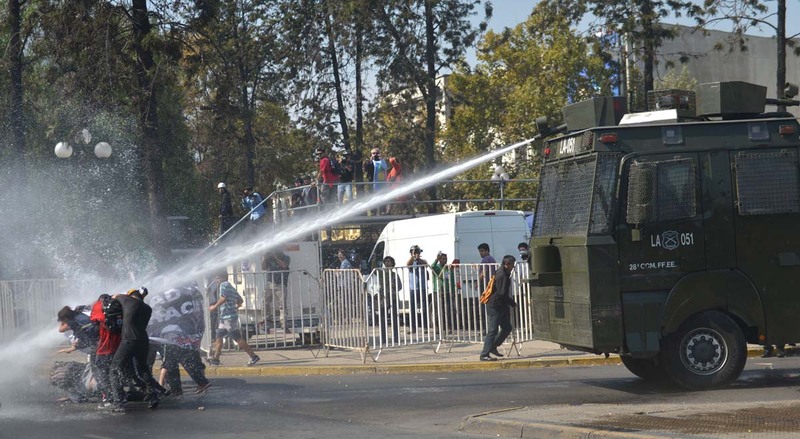 Students clash with riot police during a demonstration demanding the government to improve the quality of public education in Santiago on April 16, 2015. Garland County Sheriff’s Department Cpl. Fred Hawthorn spreads some hay for five buffalo on Whispering Hills Road in Hot Springs, Ark., Thursday, April, 16, 2015. 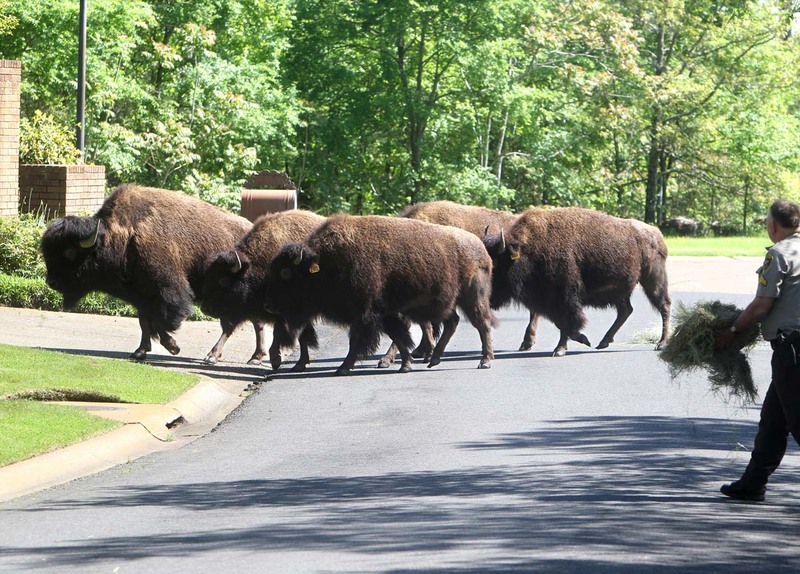 Hot Springs police say six buffaloes escaped from a nearby farm Thursday and spent the day roaming neighborhoods and avoiding sheriff’s deputies, officers and volunteers. One animal was hit by a car and returned to the farm. Three were tranquilized Thursday evening. The whereabouts of the other two are unknown. 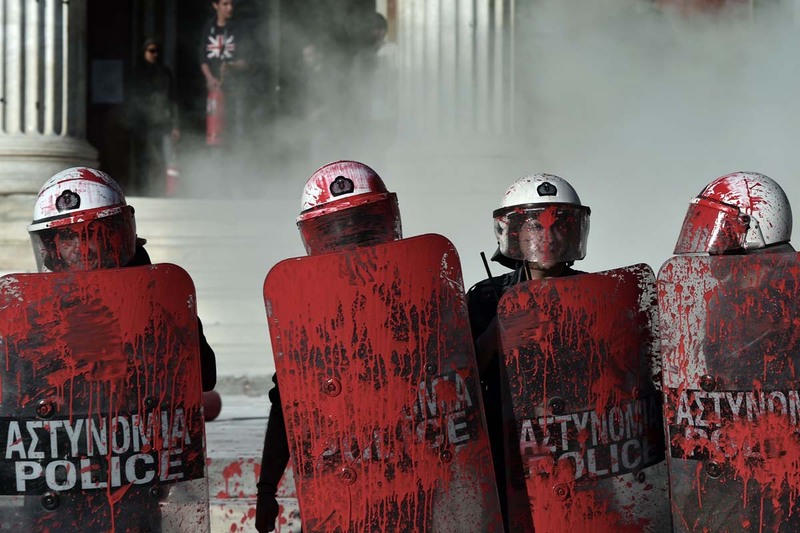 Riot policemen stand splattered with red paint thrown by protesters outside the Athens University on April 16, 2015. The protesters demanded the release of families of political prisoners and changes to the anti-terrorist law. The tension arose at the end of the demonstration of opponents to a gold mine project in the Halkidiki peninsula, northern Greece, in Skouries. US President Barack Obama signs the bill H.R. 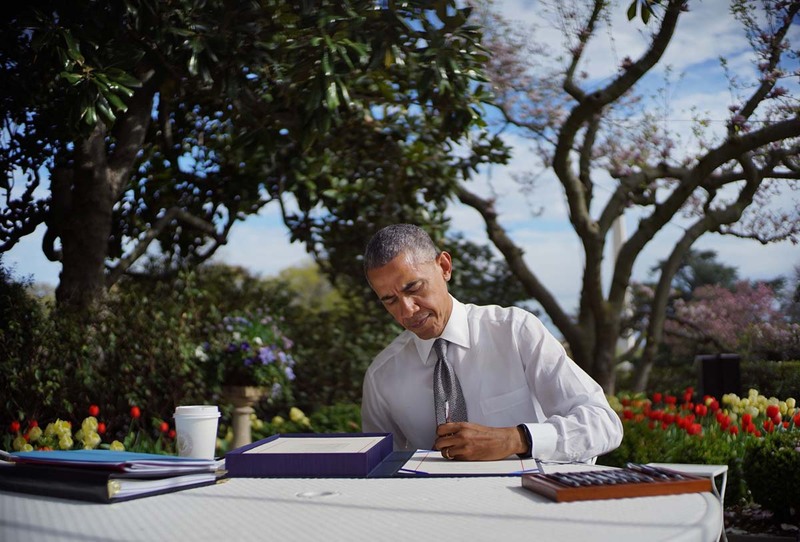 2 Medicare Access and CHIP Reauthorization Act of 2015 in the Rose Garden of the White House on April 16, 2015 in Washington, DC.